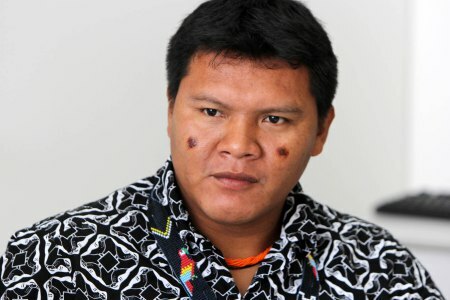 Davi Yanomami Kopenawa is President and Founder of CAFOD’s indigenous partner, Hutukara Yanomami Association (HAY), which was set up in 2004 in the state of Roraima, in the Brazilian Amazon rainforest. 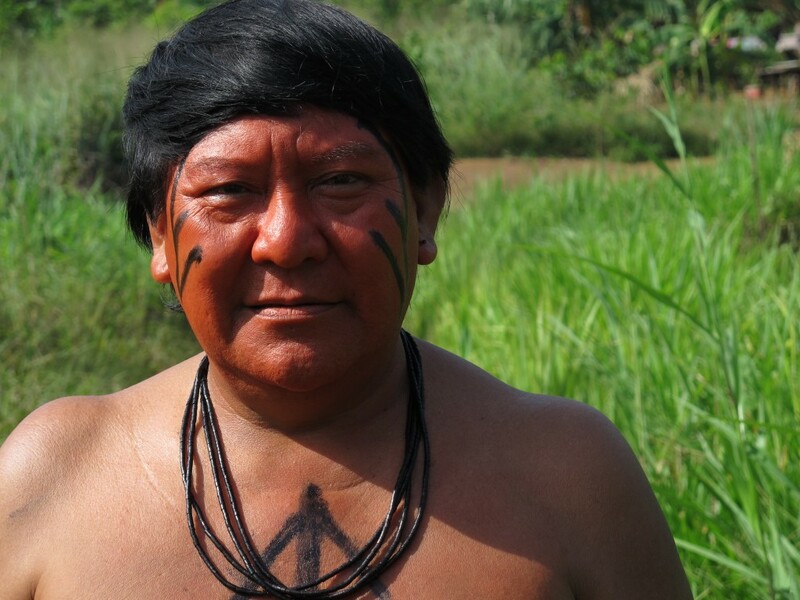 Hutukara has been a CAFOD partner since 2007 and works to protect Yanomami and Ye’kuana indigenous rights to land, health, bi-lingual education and cultural preservation through campaigning, lobbying and community mobilisation activities. Davi is a world-renowned indigenous leader, and has won numerous national and international awards, for his efforts to protect the Yanomami and Ye’kuana people and the Amazon rainforest, including the UN Global 500 award for his contribution to the battle for environmental preservation. Today Davi lives in his community Watoriki, (‘The Mountain of the Wind’), on the watershed of the Amazon and Orinoco rainforests. Despite Yanomami territory being legally demarcated in the state of Roraima, northern Brazil, in 1982, land invasions continue, such as illegal gold-miners and farmers, and communities are increasingly feeling the impacts of climate change, which are affecting their health, food security and environment. Mauricio Tomé Rocha, known as Maurício Ye’kuana, is a 29 year old Ye’kuana Brazilian indigenous leader and activist. His community lives on the banks of a river also called Auaris, in the north west of the state of Roraima, Brazil.